A new simulator to help car makers better understand how drivers will cope with and respond to the rising number of driver assistance (ADAS) and autonomous (AI) automotive technologies has been revealed by Ansible Motion. 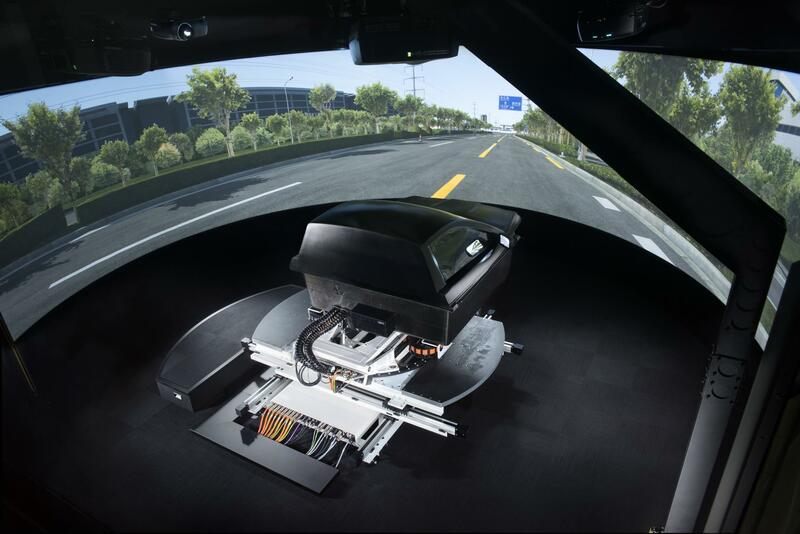 The latest iteration of the multi-million-pound Delta Driver-in-the-Loop (DIL) simulator provides a safe and repeatable laboratory environment to test and validate the myriad ADAS systems that are increasingly being fitted (or proposed) to new cars. With the driver assistance systems market set to grow to 70 billion USD by 2024, fuelled by vehicle manufacturers pushing toward increasing levels of autonomy to address emerging legislation, the issue of how real people might react to a car receiving more notifications – or even taking control – is one that car makers are investigating seriously. To create the most immersive human simulation experiences - and therefore the most meaningful pre-validation results – Ansible Motion’s simulator lab in Hethel, Norfolk, has now added a number of new features, such as new cabin environments that reflect OEM styling and human interaction features and new software connectivity that allows deeper environment and sensor simulation, coupled with Ansible Motion’s proprietary motion, vision, and audio environment that ‘tricks’ drivers and occupants into believing they are experiencing a real vehicle and its ADAS or autonomous technologies. This special type of driving simulator technology, pioneered by Ansible Motion, is far-removed from gaming ‘simulation’ endeavours, and has been trusted for nearly a decade by top vehicle constructors in the US, Europe and Japan (Ford, GM and Honda, to name a few) has now been updated extensively to offer a realistic environment for evaluation of the newest on-board vehicle systems and concepts. “We aim to deliver compelling experiences to connect real people to the world of simulation. This method of providing virtual ride and drive experiences has proven to be highly effective for vehicle constructors as they trial their new concepts,” claims Cammaerts. With the ability to create and explore an incredible number of scenarios in a short amount of time, Ansible Motion’s simulator means engineers can conduct experimental variations that might consume a hundred years’ of testing time in the real world, within a few months. Examples include the validation of Autonomous Emergency Braking (AEB) systems that rely upon multiple sensor feeds and vehicle piloting logic algorithms to respond (in some cases, faster that human response capability) to various situations such as traffic and pedestrian intrusions.